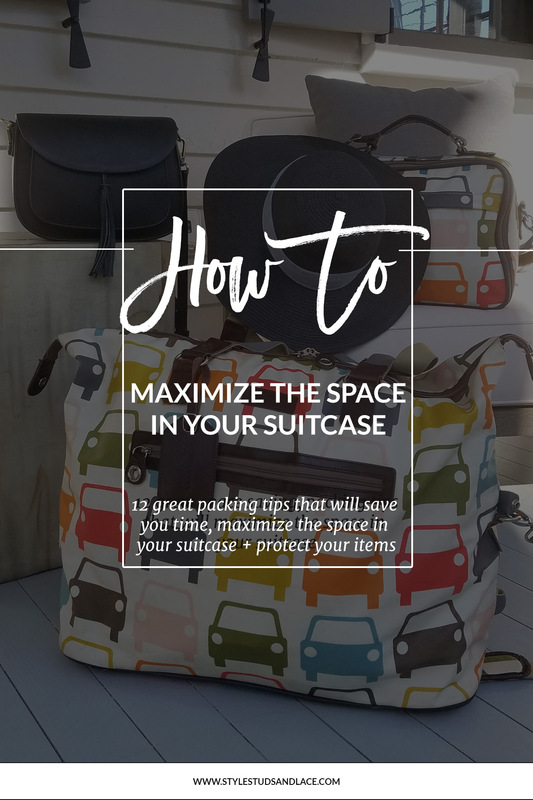 Last week I shared a list of questions and tips to help you narrow down what to pack for a vacation, and this week I want to share some of my favorite packing tips with you. These tips will help you save space and time, and will ensure that your carefully curated collection looks great when it arrives at the other end meaning you don’t waste time ironing when you could be out sipping cocktails and watching the sun go down. Pack some underwear and a spare outfit in your hand luggage, along with toiletry essentials – My suitcase has gone missing too many times to not do this and I highly recommend you do the same! 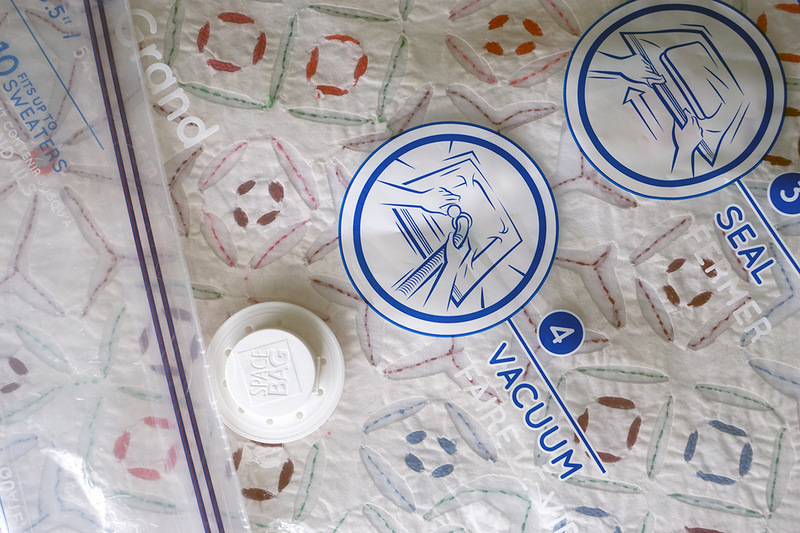 If you’re taking delicate items with you or pieces that crease easily, it’s a good idea to insert a layer of tissue paper between them to protect them – this will save you time at the other end by ironing less. 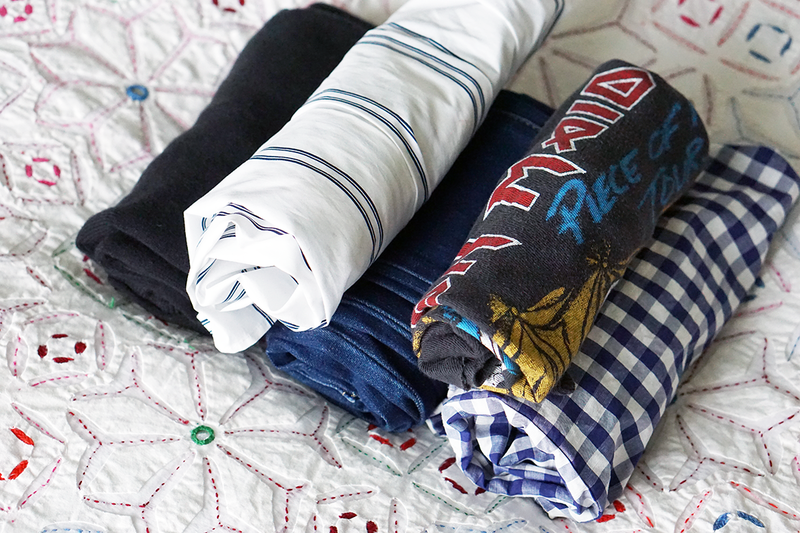 Roll your clothes instead of folding – it maximizes space in your suitcase and prevents creases. Again this is a great way to free up time at the other end! Another good way to save space is to pack socks and underwear inside shoes. I like to pack my clothes in groups as it makes it so much easier to find everything when I open up my suitcase at the other end. I also like to pack my accessories in a small bag so I’m not digging around in my luggage to find the right belt or scarf. Pack light colored clothing inside out, it will limit the likelihood of them getting stained or dirty from shoes that are in your case. The last thing you want to be doing on vacation is washing items that haven’t even been worn yet! 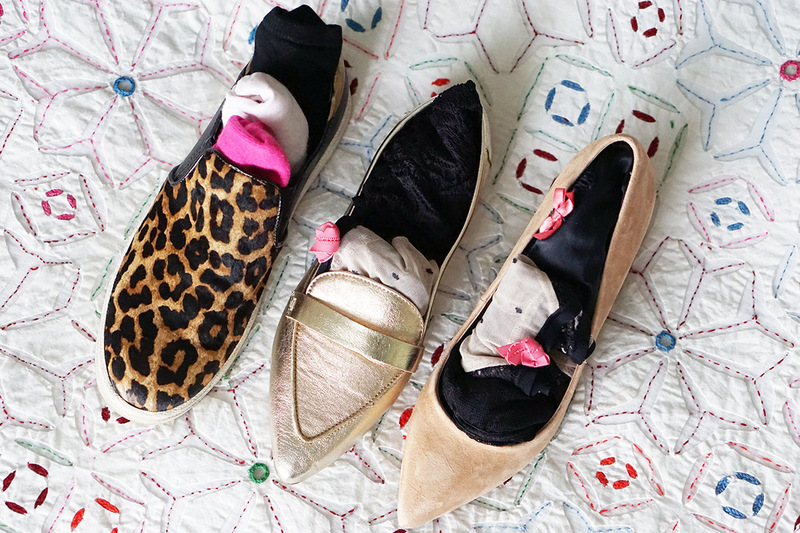 You can also pop your shoes in bags before packing them in your suitcase. Pack logically. If you’re getting to your destination in the middle of the night, it’s a good idea to make sure that everything you need is at the top of the case so you’re not rummaging through everything when all you want to do is crawl into bed. If you’re planning on jumping straight into the pool when you arrive, have your swimwear, beach towel and sunscreen at the top. Take a couple of air compressing ziplock bags with you. One for all your dirty laundry and a second in case you do any shopping and need to make room for souvenirs. But beware…while they definately free up space they do not free up weight! Consider taking a sarong instead of a beach towel, it’s much lighter and doubles up as a scarf on the plane. 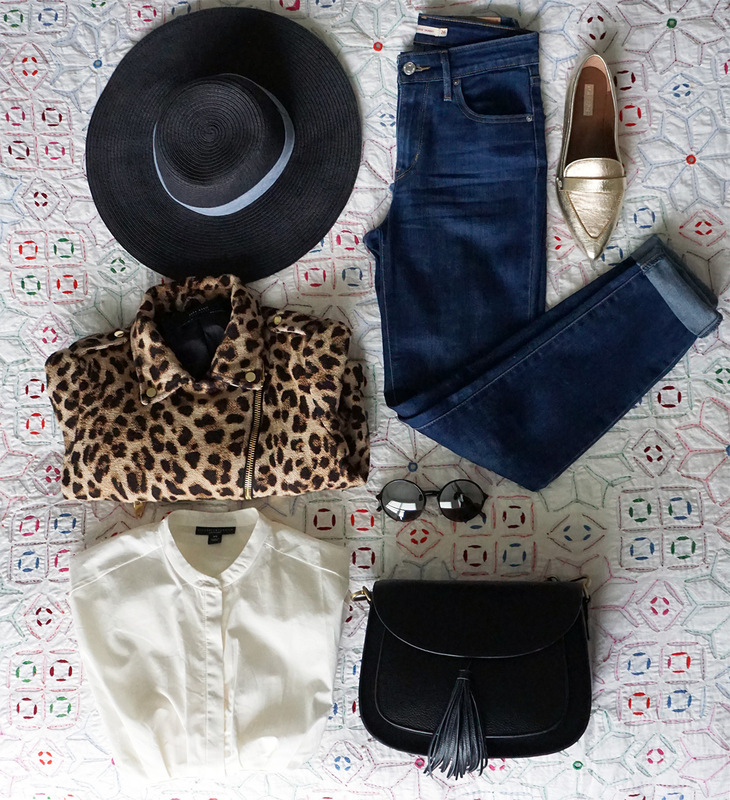 And lastly prep your outfits before you pack so you dont’ take any unnecessary items. Have I covered everything? What are your space saving packing tips? 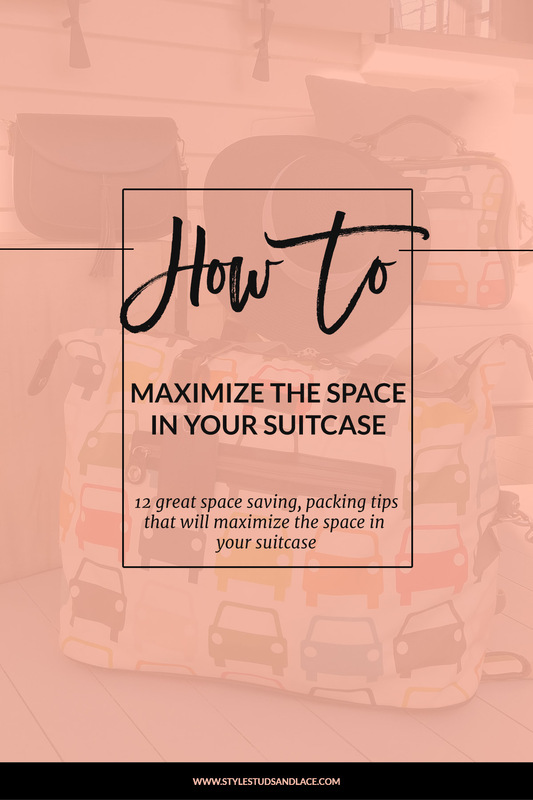 I’ve written another post about packing for vacation that you might want to check out, it’s all about prepping to pack and you can read it here. I highly recommend you check it out before you start to pack!